At Liberty, we get that every deal is different, requires custom design and delivery deadlines. At Liberty, we bring to bear the full-force of our combined 135+ years of deep transactional knowledge to offer innovative and collaborative structured solutions for your unique business needs. Fair Market Value (FMV) Operating Leases gives you the flexibility to spread out the cost of equipment over time, conserving your valuable cash flow. Liberty's Operating Lease payments can also be structured to include stretch, skip and step payments to match revenues with expenses for seasonal -based businesses. In addition, you avoid the obsolescence costs (technology upgrades/updates to existing equipment, disposal costs, etc) and are able to re-invest on cutting-edge technology with new equipment. With lower up-front costs, lower monthly payments, tax advantages and up to 100% financing including “soft costs” (transportation, delivery, installation and other deferred costs), Liberty's Operating Leases function as a key component of any smart, strategic CapEx plan. A first amendment lease is a mix between a capital lease and an operating lease. For accounting purposes, a first amendment lease is treated as a capital lease allowing the lessee to depreciate the equipment on their financial statements thereby maximizing EBITDA. However, first amendment leases are treated the same as Operating Leases by the IRS allowing the Lessor to depreciate the equipment on their tax returns and pass a lower effective interest rate on to the Lessee. First Amendment Leases have fixed purchase prices at the end of the lease allowing the lessee to purchase the asset at a set amount with no penalty OR continue leasing for another year and then hand it back to the Lessor; effectively allowing the Lessee to defer the ownership decision until the end of the lease term when they will have a better sense of whether or not they want to own the equipment long term. 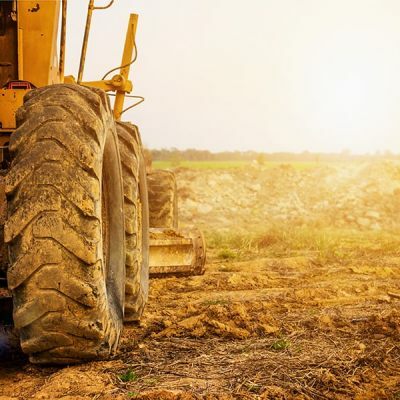 This lease structure functions like a purchase, but gives you the chance to spread out the cost of your equipment over several years, allowing your company to hold onto its cash. A Capital Lease is a contract in which Liberty gives you the exclusive right to use and possess its property or equipment (the “Leased Property” or “Leased Equipment”) for a specified period. Liberty's Capital Leases have a $1 purchase option at the end of the lease, an attractive option for those wishing to retain ownership and improve liquidity in the same transaction. Simply return the equipment to Liberty. Liberty's deep structuring expertise enables clients to consider more complex synthetic leasing options. Competitively priced despite its complexity, this type of financing enhances financial performance ratios and up to 100% expensing opportunities which may spur some taxpaying companies to seek synthetic lease treatment for qualifying assets so that, as the tax owner and the lessee, they may claim the full expensing under the 2017 Tax Cuts and Jobs Act. While synthetic leasing will not be as common as many other types of lease facilities, it does provide a good alternative for companies that are interested in a method to keep lease payments low during the lease term, depreciate the asset for U.S. federal tax purposes and have the ability to acquire the asset. The services provide a general summary of their associated features and benefits. It is not intended to be and should not be relied upon as a legally-binding document. As with all financial structures and documents, we advise that all our clients consult with their tax and legal advisers.